You’re a newly employed guard of a prison deep inside a dungeon. The night of your arrival, strange things happen and when you wake up in the morning, all prisoners have escaped amidst chaos. 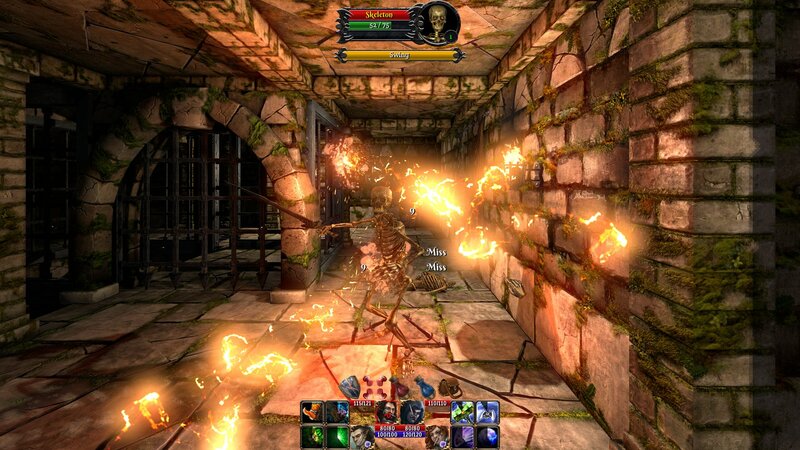 The warden wisely decides to leave the dungeon as quickly as possible, while tasking you to run after the escaping prisoners. 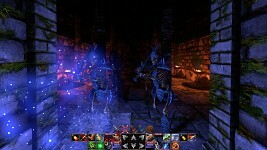 You then assemble your team and venture into the mysterious dungeon. 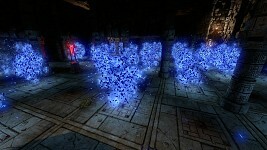 The Fall of the Dungeon Guardians v1.0b Released ! The version 1.0b of the Fall of the Dungeon Guardians has just been released, and to celebrate that, the game is on sale with 25% off till the end of the week on Steam : Store.steampowered.com . 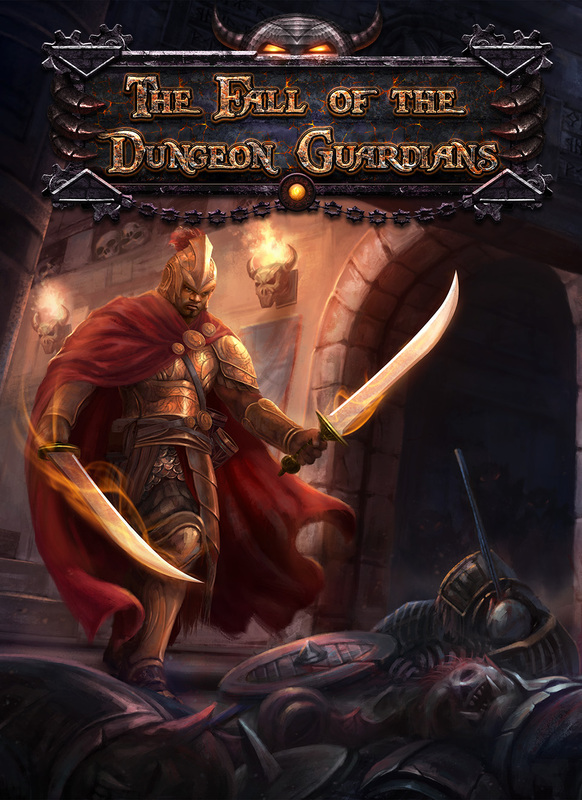 The Fall of the Dungeon Guardians is an RPG Dungeon Crawler game, in First Person View, inspired by classics like Dungeon Master™ and Might & Magic®, but featuring a modern combat system based on the triptych “tank/damage dealer/healer” mechanism. The version 1.0b features the Treasure Hunt, which is a chained series of riddles, more or less easy, designed mostly to test your memory and your observation skill. 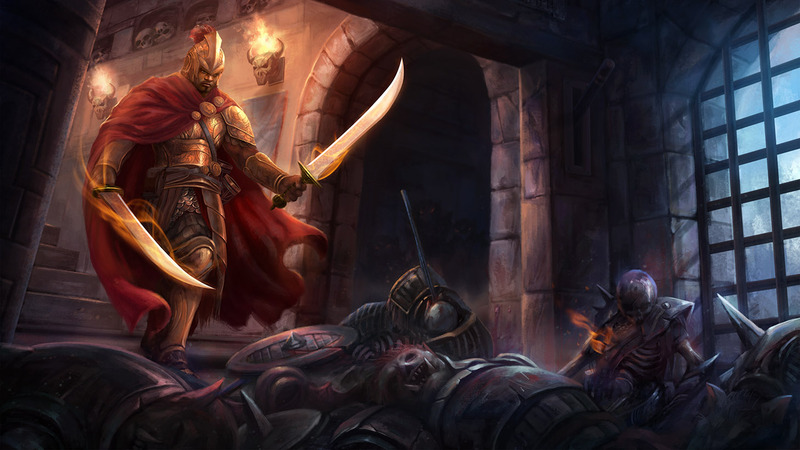 This hunt will bring you a new extra non-combat item, as well as alternate weapons (eg: 2-handed tank weapon). Its starting point is in the High Security zone of the prison at the beginning of the game. Note: it's possible to do it after have reached the last level of the game, but it might be delicate to remember everything needed to solve all the riddles. There are also other little new GUI features, and small changes & bug fixes, as well as 2 new localizations : Italian & Czech. The Fall of the Dungeon Guardians is released on Steam! The Fall of the Dungeon Guardians has just been released on Steam. Grab it with 10% off while it lasts ! The Fall of the Dungeon Guardians v1.0 Released ! The Fall of the Dungeon Guardians Greenlit in 1 week ! 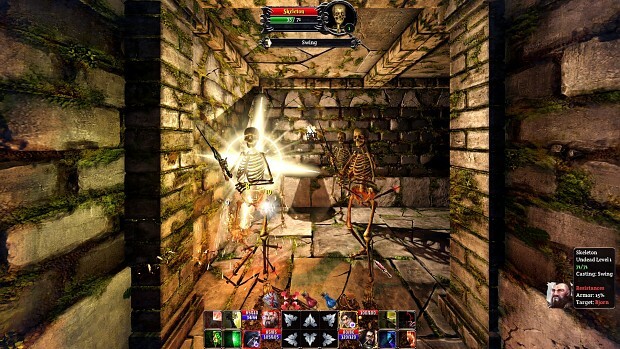 The Fall of the Dungeon Guardians in Steam Greenlight ! the game looks great, if we buy it on the website now, will we get a steamkey too, if the greenlight is successful? Good luck with the game. thanks, and yes, you'll get a Steam Key if the game gets on Steam (you'll already have the link to request it in your License Key email but it'll tell you to wait for Steam release when you open it). Looks very much like Legend of Grimrock. Inspiration or coincidence? But I also really liked the mossy dungeon of Grimrock and asked my environment artist to create an old mossy stone wall set. If you look in details, you'll see that nothing is same, but despite that the general impression is similar anyway. Except that, pretty much everything else is different, especially the gameplay, but also the other environments. The look of it gives me a feeling of Thief, Amnesia, Shadow Tower, and a few other games with this kind of feeling of dread with RPG elements and Fantasy Elements (Besides Amnesia) and it seems really awesome. One question, though, will it be free? No, it won't be free. I hope it doesn't look like it should be free, as I'd like to sell it in sufficient quantities to finance a sequel, or at least an add-on. Gelatinous Cube in game yes/no? No, sorry. There are a ton of other kind of creatures though.